Several XL Stores from across County Tipperary were honoured for achieving outstanding excellence in retail at the recent prestigious XL Retailing Standard Awards which attracted retailers from all over Ireland to the Hodson Bay Hotel in Athlone, for the ceremony run by BWG Foods, owners and operators of the XL brand. 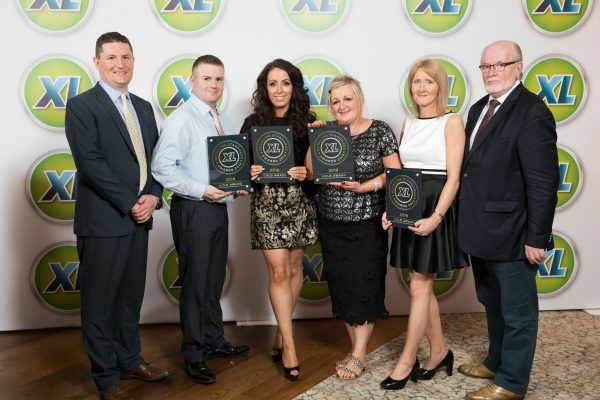 XL Clogheen, XL Townspark Service Station, Cahir, Burke’s XL Foodstore, Ardfinnan, Ladrigan’s XL, Cahir and XL Killenaule Express were among a group of retailers from around the country who were awarded a Gold Retailing Standard Award. Bates’ XL Foodstore, Clonmel, XL Prior Park Service Station, Clonmel, XL Woodview Service Station, Cahir and Keane’s XL, Roscrea were awarded a Silver Retailing Standard Award. XL Rosegreen, Cashel and Autopower XL, Carrick-on-Suir were awarded a Bronze Retailing Standard Award. The XL Retailing Standard Awards are only given to stores that pass a tough year-long inspection, including visits from mystery shoppers. John Moane, Managing Director of BWG Foods Wholesale Division, honoured those who achieved an XL Retailing Standard Award for their determination and ongoing commitment. “I’d like to congratulate our outstanding County Tipperary winners and wish them continued success in the future,” added Moane.